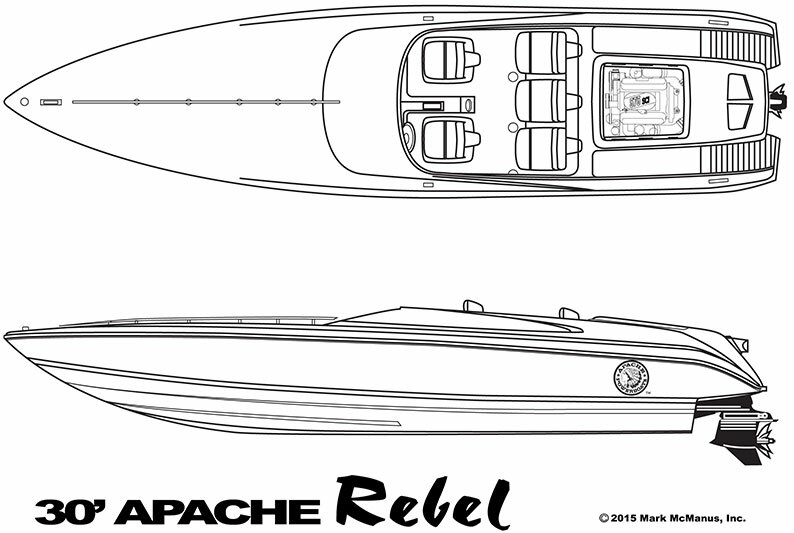 The Apache® 30’ Rebel refuses to be categorized! Its transparent engine hatch is unlike anything else on the water, unprecedented in the high-performance boating industry. This peerless style is the introductory Apache, offering fuel economy and performance with a twin engine configuration. 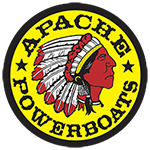 The performance-oriented, 5-occupant Apache Rebel boasts many of the same features that larger Apache Powerboats offer, yet at an introductory price. The Apache Rebel keeps you in control in your offshore environment, an aspect not usually found in the 30’ class of boats. Twin Mercury Racing with 520 HP Bravo One XR ITS drives. Twin Mercury Racing with 540 HP Bravo One XR ITS drives. Twin Mercury Racing with 565 HP Bravo One XR ITS drives. Choice of white, silver or black face instruments.